And yet, it's rare that anyone tells us HOW to do that. So we're doing something about it! And setting it up so it's personalized just for you! - It's playful and fun. - You get to anchor changes you want to create in your life in a low pressure way. - AND you get to help others by role modeling and encouraging them... And by sharing what comes up for you as you go. Spend 6 fun and engaging weeks with us, where you can play and practice your self-care and learn to love yourself in powerful ways. You even get to choose the way you apply this! It can be around physical and emotional self-care, around financial empowerment, romantic love, clearing clutter, self-confidence... You name it! We include a worksheet to help you tune in and track your progress, a Facebook group to share your success and questions, and a series of calls to help you fine tune and hit it out of the park! We invite you to come, bring friends, family, co-workers and anyone you think would like a nice boost of self-love and empowerment this summer. Be prepared to love yourself deeply, and discover your better self! And the things that leave you feeling fulfilled, loved and empowered! 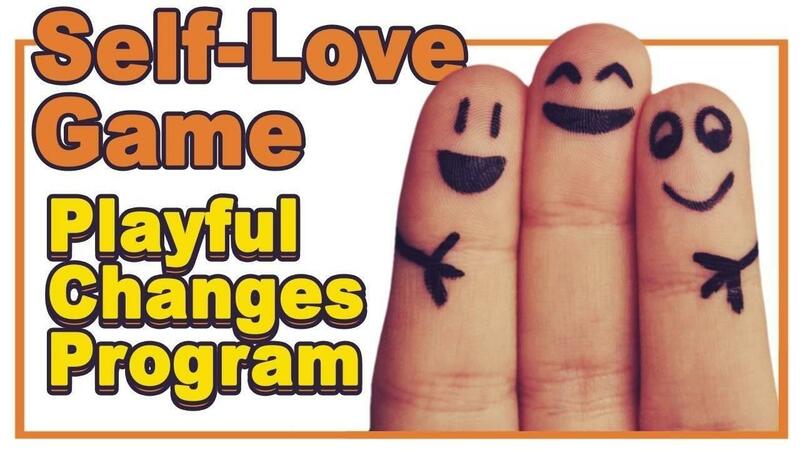 Get in the Self-Love Game now... And start building a new relationship with yourself, your body and your life. We often care for ourselves badly. We treat our children, friends, pets, co-workers and random strangers better than we do ourselves, and then wonder why we feel depleted, grumpy, and overwhelmed. Learning to take steps to care for ourselves is a powerful way to build a cycle of self-esteem and confidence. Get the worksheet and an audio guiding you through how to use it to create a fun game to improve your sense of self-love and self-care, AND 5 additional audios helping you overcome fears and blocks to feeling amazing, so that you feel fulfilled and have more to share with your family, career, and the world.